Without a doubt, outsourced document shredding is preferable to in-house shredding because of improved privacy and efficiency factors. However, before you entrust a shredding provider with the destruction of your confidential business documents, it’s important to exercise due diligence so you can make an informed decision about who’s right for you. This list of questions will help you make the right choice. Q: What can I shred? A: Whether it’s paper documents or digital media, you need a secure and efficient destruction solution for all your information. A document shredding service eliminates the use of an office paper shredder to shred unwanted documents. Secure collection containers are placed throughout your office, allowing your staff to dispose of paperwork without the need to remove staples and paper clips. A media shredding service ensures digital data stored on tapes and hard drives is destroyed. Look for a shredding provider that offers both paper shredding and media shredding. Q: Where does my shredded information go? A: Best practice for a corporate shredding program should include environmentally responsible disposal of shredded information. Check with your shredding partner to make sure the shredded material is baled and sent to an authorized recycling partner. Q: Who collects, transports and shreds my documents? A: When outsourcing your shredding, you’re entrusting your confidential information to someone else. That’s why it’s important to make sure your shredding provider uses screened and trained shredding technicians. 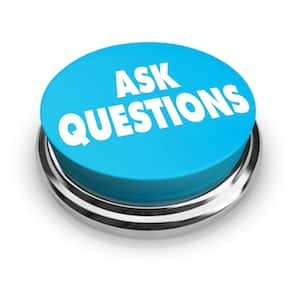 Q: Are your shredding services NAID AAA Certified? Strict chain of custody protocols are required to guarantee the secure transfer, handling and transportation of sensitive documents and files. Verify your shredding provider is NAID AAA Certified to ensure the confidentiality and privacy of your information. Q: Do you provide both scheduled and one-time shredding? A: Every business, including yours, has unique shredding requirements. Some of those requirements may change over time. In order to make sure your ongoing shredding needs are met, use a shredding provider who offers both scheduled shredding and one-time shredding service options. A: The best way to know if your information will be promptly and securely shredded is by asking the customers of the provider you are planning to use. If a shredding company is reluctant to provide references, keep looking. The choice of who to use as your secure destruction partner is an important one, as they will be handling your company’s confidential documents and files. Be sure to ask these questions so you feel confident you’ve partnered with a shredding provider who will keep your sensitive information safe and secure throughout the entire destruction process. Richards & Richards provides NAID AAA Certified destruction services for business throughout Nashville. For FAQs about our paper shredding service, click here. To request more information, please contact us by phone or complete the form on this page.